Pour the custard into an 1-1/2 quart ice cream maker and freeze according to the manufacturer’s instructions. Transfer to an airtight container and freeze for up to 2 weeks. 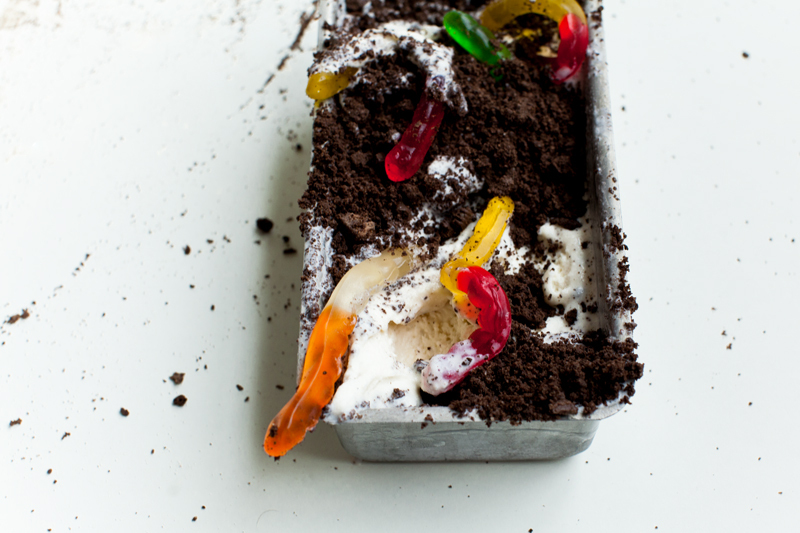 To serve, sprinkle ice cream with crushed cookie crumbles and gummy worms. I just made the base and its amazing, I added a little extra lemon too! A nice comforting acidity.